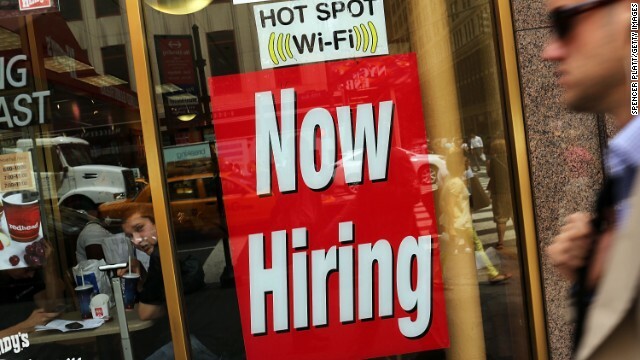 December jobs numbers are out today, and the economy added 74,000 new jobs last month. That's bad news for President Obama, as economists and analysts were hoping for a more positive jobs report to reflect the recovering economy. According to CNN Money, it was the worst jobs report since January 2011. But while presidents have promised more jobs for more Americans since the signing of the American constitution, how many of them understand the job force when they spend most of their lives in politics? Turns out, more than a few presidents worked in the blue collar world before moving to the White House. From Andrew Johnson the tailor, to Harry Truman the farmer, check out our founding fathers - and even some more recent commanders-in-chief - as they learned what it was really like to work in an industry where people didn't always address you as "Mr. President." After spending only one year as a Senator in Washington, Jackson returned home to work as a judge for the Tennessee Superior Court. Known for being the first president to die in office, Harrison studied medicine in Richmond, Va., before trading in his medical scrubs for infantry training in the Army. With all the money involved with elections nowadays, it’s crazy to think that an impoverished boy could ever become president. Andrew Johnson is the true American dream. After working his way out of poverty, he opened up his own tailor shop in Greeneville, Tennessee. After two sudden family deaths sent him spiraling into grief, President Roosevelt headed out to his ranch in the Dakota Territories. While there, he spent his days doing what cowboys in the 1880s did – hunting game, riding broncos and catching outlaws. A man of many trades, Harding attempted to make a career by way of law, insurance sales, and even journalism, ultimately purchasing a local dying newspaper for a measly $300 in 1884. Before getting his hands dirty in beltway politics, this American president studied at Stanford University, eventually graduating with a degree in mining engineering. Prior to World War II and his days as president, Truman led a more modest lifestyle in Independence, Missouri as a farmer, where he reaped and sowed for 12 long years. Ronald Reagan the Radio Host: Long before he made his big screen debut in Hollywood or ordered Gorbachev to tear down a certain German wall, President Reagan honed his oratory skills by working as a sports radio announcer. Like any good son of Texas, George Bush Sr. toiled in the oil industry after graduating from Yale University. It should come as no surprise that a Texan cowboy like George Bush would love all Texan sports – but this president loves baseball so much, he purchased a stake in the Texas Rangers back in 1989. *all photos have been photoshopped, except for Ronald Reagan which is an original image Courtesy of the Ronald Reagan Presidential Library. Original images include Getty Images, CNN material and public domain.